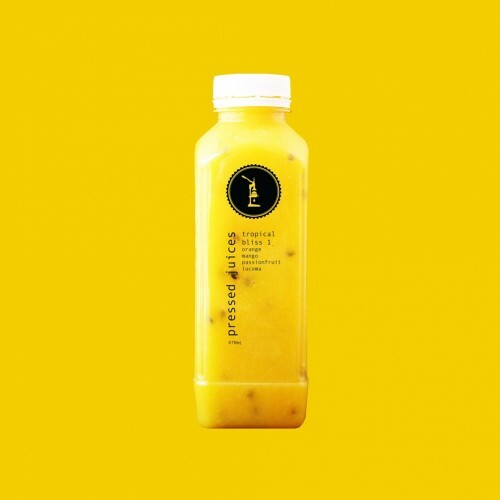 Somewhere between a smoothie and a juice, the sweet nectar that is Tropical Bliss 1 combines cold pressed orange juice, passionfruit pulp and crushed mango cheeks with a pinch of lucuma powder. 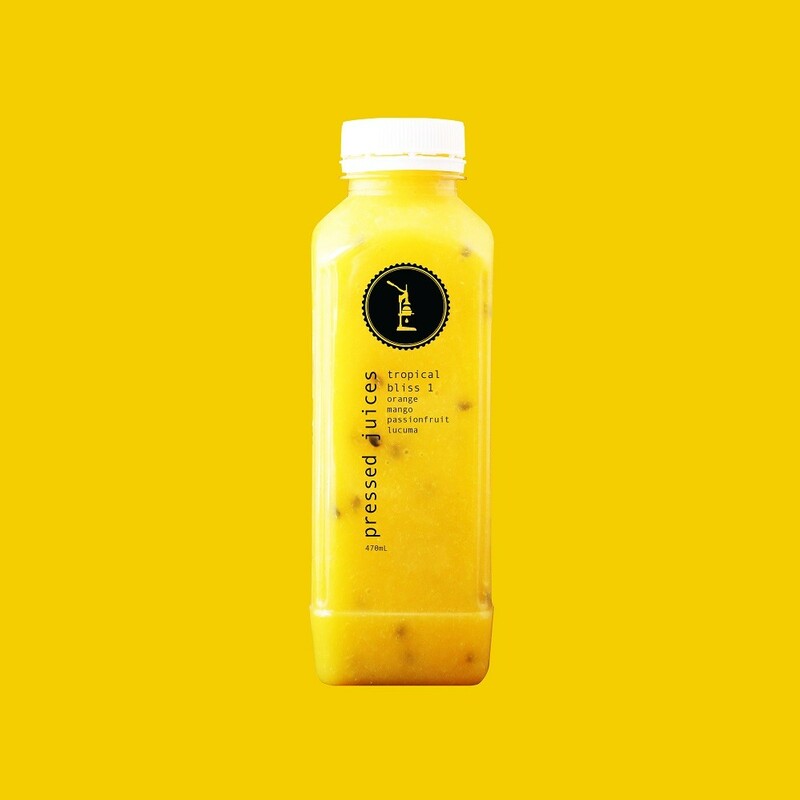 A juice-­-smoothie hybrid, Tropical Bliss 1 contains plenty of fibre for healthy digestion & a slower release of natural fruit sugars into the bloodstream. The combinations of fruits in Tropical Bliss 1 are high in vitamin C, which makes Tropical Bliss 1 a delicious choice for a healthy immune system as well as smooth glowing skin. Source of potassium to promote cardiovascular health. Source of fibre for digestive health. The Tropical Bliss 1 is ideal for combatting colds and flu’s thanks to the high vitamin C content. The Tropical Bliss 1 is antiviral and supports anti-­-inflammatory properties.